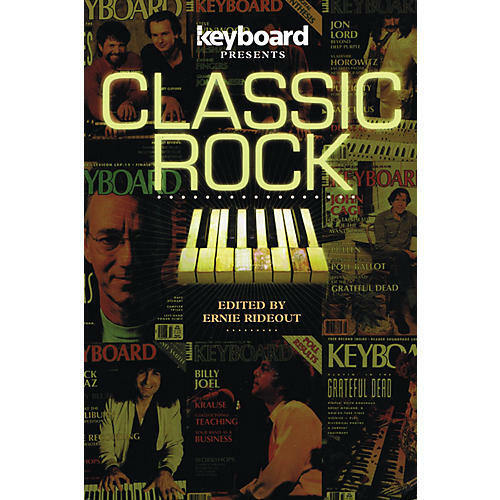 Keyboard Presents: Classic Rock brings out the stories behind the hits on drive-time radio, as told by the keyboard-playing artists and sidemen who created them. What was Billy Joel thinking when he wrote Piano Man? Who played the pounding piano on the Doobie Brothers' China Grove? What was it like to back up Jim Morrison in the Doors? How did synthesizers create the sound of Genesis? It's all here: the gear, the songs, the road stories, and the inspiration behind some of the greatest songs of the '60s, '70s, and '80s by Chicago, Deep Purple, Tom Petty & the Hearbreakers, Blood, Sweat & Tears Steve Winwood, the Grateful Dead, and many more.